Special session • The gas-tax hike, which aimed to boost financing, left rural Utah counties with less money. Utah lawmakers found themselves at a crossroads earlier this year when they discovered that a newly enacted gas-tax hike that was levied to fund road projects would actually leave rural counties with less money than they had before. On Wednesday, legislators once again scrambled to fix problems in the formula, approved last year, that apportioned tens of millions of dollars that came from the nickel-a-gallon gas-tax increase to give rural counties their share and to ensure that counties already working on road projects would get enough to finish their tasks. The problem arose when large rural counties  which also have miles of roads to build and maintain, but small populations  realized the money they receive from the revised gas-tax formula was the same amount they previously had, while more populous, urban areas are seeing their funding rise. Lawmakers tried to fix the formula during the legislative session earlier this year, but Rep. Johnny Anderson, R-Taylorsville, the sponsor of the gas-tax bills, said it became clear that they had overcorrected. Many cities complained that they were receiving well below the 17.5 percent increase they had been promised as a result of the tax increase, but a few small counties were getting a windfall. The state froze the final quarterly disbursement of the payments from the gas tax, and legislative leaders told the Utah Association of Counties and the Utah League of Cities and Towns to work out a compromise, which was adopted Wednesday. Twelve counties will share $3 million in state funds and another $2 million in road funds to ensure that they don&apos;t see a reduction and to create a "soft landing" for all but two counties  Kane and Garfield  which will receive additional money after 2017. "The Legislature is not going to be sucked in again, right?" asked Sen. Kevin Van Tassell, R-Vernal, who sought to ensure during a Transportation Interim Committee meeting Wednesday that the new bill would fix all relevant problems. "We have run the numbers this time," said Lincoln Shurtz, of the Utah Association of Counties. "We have independently verified the numbers." 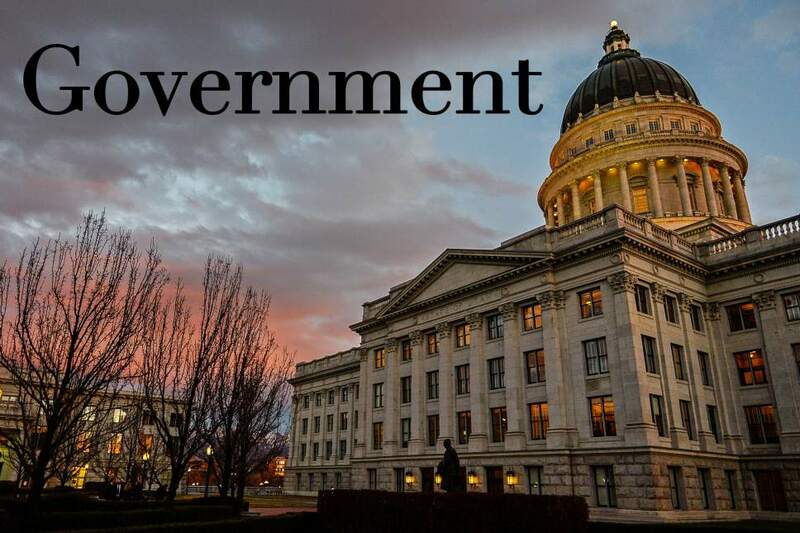 Cameron Diehl, of the Utah League of Cities and Towns, added that the Utah Department of Transportation and the Utah auditor&apos;s office also verified that the new bill will distribute funds according to the groups&apos; compromises. Anderson said the new bill will not provide cities all the money they expected, but will mitigate the problems with the regular-session bill and come close to what was promised. He said it will also help create a "soft landing" for counties that had been given more this year but will not get the gas-tax spike in future years. As an example of problems some cities faced, Midvale Mayor JoAnn Seghini recently said her city received $71,215 less than expected this year from gas-tax revenue. She cited that deficit as being among factors prompting Midvale to more than double its property tax this year. The Utah League of Cities and Towns has said cities are being shortchanged by about $8.5 million because of problems with the gas-tax formula. Sen. Todd Weiler, R-Woods Cross, voted for the bill, but he said he was doing so reluctantly because it meant that there would be $3 million going to roads, money that wouldn&apos;t be spent on other priorities in what is shaping up to be a tight budget year. Weiler said he voted to raise the gas tax in hopes that the Legislature could stop siphoning money from other programs, "and now we&apos;re just raiding it further." Anderson said that, contrary to what some have argued on social media, the bill that passed Wednesday does not raise taxes. "We are benefiting from that awesome tax increase" from last year, Anderson joked with his House colleagues. "Now we&apos;re trying to solve the problem." House Speaker Greg Hughes, R-Draper, praised the league and association for working through the thorny issues to reach a consensus. "When we realized how far apart the rural counties were  versus what the Wasatch Front counties and cities thought it would be  this had all the makings of a political mushroom cloud, where people were going to try to rewrite this," Hughes said. "All the good work we did was going to be thrown out the window [and rewritten] based on political muscle." The Legislature also passed a bill refining the state&apos;s definition of solid waste, exempting recycling facilities from licensing by the Department of Environmental Quality. A similar bill passed the House and Senate unanimously in the regular session earlier this year. Gov. Gary Herbert vetoed it after the U.S. Environmental Protection Agency threatened to revoke Utah&apos;s solid-waste-management plan and the federally authorized hazardous-waste-management plan and said it may rescind some grants. Rep. Curt Oda, R-Clearfield, said he thought the EPA was bluffing and that the agency has never taken such harsh actions against other states. "The governor&apos;s office," Oda said, "was just afraid of a legal battle." The revamped version passed the Legislature unanimously Wednesday. The governor is expected to sign both compromise bills. Lawmakers also honored the family of West Valley City police Officer Cody Brotherson, who was killed while trying to assist officers in stopping a fleeing vehicle, and Erin Hemingway, a science teacher at Union Middle School who disarmed a young man after a student&apos;s shooting last month.